Café Pacifico is a bar with a mission: to reclaim tequila as a sophisticated tipple. Widely seen a simple shot in the UK, to be accompanied by one too many beers, the spirit is in fact a delicate long drink with a storied culture all of its own. National Tequila Day is an attempt to illustrate this, showcasing the potential of this perennially misunderstood drink to Londoners. Located a few moments walk from Covent Garden, Café Pacifico is the ideal place to discover more. Arriving early in the evening, the bar is already bustling, with a live DJ, friendly staff, and great atmosphere. The place is something of an institution, having been open for more than three decades, and it attracts a mixture of partying groups, quiet couples, and tequila aficionados. It was founded by Tomas Estes, who though American, rather than Mexican, was also a wrestling coach, which more than makes up for this oversight. There is a delicious food menu, focused on, what else, Mexican fajitas, enchiladas, and quesadillas, as well as all manner of tacos, nachos and sides. But it is the tequila we are here for this evening. Café Pacifico offers as many as 150 varieties to visitors, all of which are produced close to the city of Tequila itself in the Mexican state of Jalisco. Each is strictly made from blue agave, with as many as 300 million of the plants harvested each year to produce the drink. While whiskey, for example, matures in the barrel, tequila is prepared by the soil. It can take ten years of soaking up the Mexican sun before a blue agave is ready for harvesting. But once plucked from the ground, it is quickly prepared, with the fresher tequila generally preferred by the seasoned drinker. Anything less than a few months old is known as ‘blanco tequila’ (or as plata or silver tequila) and is the drink of choice at Café Pacifico. The bar also produces its own house brand, Ocho, which is produced in a single field in Jalisco each year, before being sent to London for exclusive distribution. For those who wish to delve into the culture behind the drink, Café Pacifico runs a number of evening classes, welcoming global experts to London to showcase the drink. It is a great bar, with oodles of character and a real passion for the product it sells. It feels like tequila is enjoying its moment. George Clooney recently sold his Casamigos brand for a reported $1 billion, causing the world to sit up and take notice. With millennial drinkers also having cash to burn and a taste for bespoke, unexpected flavours, there is real potential in the market. Café Pacifico sits right at the heart of this trend. 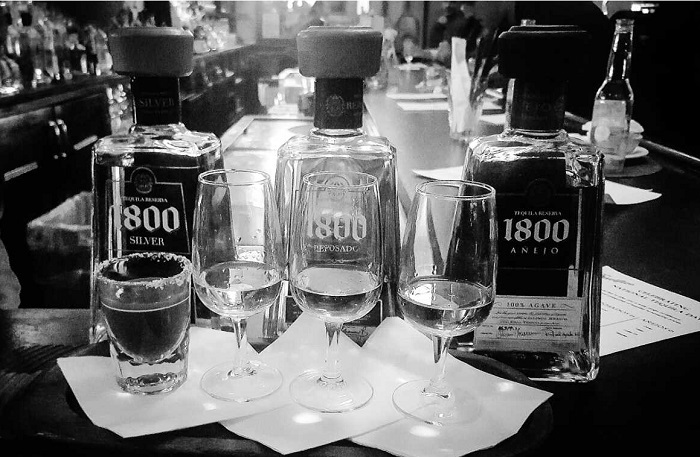 Staff will be delighted to spend time with you, talking through the various options when it comes to ordering the perfect tequila. Just don’t ask for salt and lime! Cafe Pacifico Mexican Restaurant is located in the heart of Covent Garden and offers fresh, homemade Mexican food and the best Margaritas in town.